RB Salzburg has over 2.5 goals in their last 5 games in all competitions. PAOK has over 2.5 goals in their last 4 games in all competitions. Dinamo Zagreb scored in last 7 games in all competitions. Slavia Praha scored in last 7 games in all competitions. Spartak Trnava scored in last 6 games in all competitions. Dynamo Kyiv has under 2.5 goals in their last 4 home games in all competitions. Slavia Praha won their last 5 away games in all competitions. Dynamo Kyiv won their last 3 home games in all competitions. Slavia Praha scored in last 7 away games in all competitions. Qarabag has under 2.5 goals in their last 12 away games in all competitions. BATE has under 2.5 goals in their last 5 games in all competitions. BATE has under 2.5 goals in their last 5 home games in all competitions. BATE won their last 4 games in all competitions. BATE scored in last 4 games in all competitions. PAOK has over 2.5 goals in their last 4 away games in all competitions. Spartak Moscow has under 2.5 goals in their last 3 home games in all competitions. PAOK won their last 3 games in all competitions. PAOK scored in last 17 away games in all competitions. AEK Athens has over 2.5 goals in their last 3 home games in all competitions. AEK Athens won their last 5 home games in all competitions. AEK Athens scored in last 11 home games in all competitions. AEK Athens scored over 2.5 goals in last 3 home games in all competitions. Celtic allowed opponents to score over 1.5 goals in last 7 away games in all competitions. Benfica won their last 3 games in all competitions. Benfica scored in last 11 away games in all competitions. Benfica scored in last 26 games in all competitions. Astana has under 2.5 goals in their last 3 games in all competitions. Astana has under 2.5 goals in their last 3 away games in all competitions. Videoton has under 2.5 goals in their last 5 games in all competitions. Videoton has under 2.5 goals in their last 3 home games in all competitions. Dinamo Zagreb scored in last 4 home games in all competitions. Videoton ended draw their last 5 games in all competitions. Dinamo Zagreb scored over 1.5 goals in last 3 games in all competitions. Videoton ended draw their last 3 home games in all competitions. Videoton scored in last 11 home games in all competitions. RB Salzburg has over 2.5 goals in their last 6 away games in all competitions. Red Star has under 2.5 goals in their last 4 away games in all competitions. Spartak Trnava won their last 4 home games in all competitions. RB Salzburg won their last 14 games in all competitions. RB Salzburg scored in last 14 games in all competitions. Spartak Trnava scored in last 4 home games in all competitions. Red Star scored in last 8 games in all competitions. RB Salzburg scored in last 8 away games in all competitions. Standard scored in last 5 away games in all competitions. Internacional won their last 3 games in Serie A (Brazil). Internacional scored in last 7 games in Serie A (Brazil). Internacional scored in last 3 away games in Serie A (Brazil). Internacional allowed opponents to score over 0.5 goals in last 3 games in Serie A (Brazil). Helsingborgs IF has over 2.5 goals in their last 3 games in Superettan. 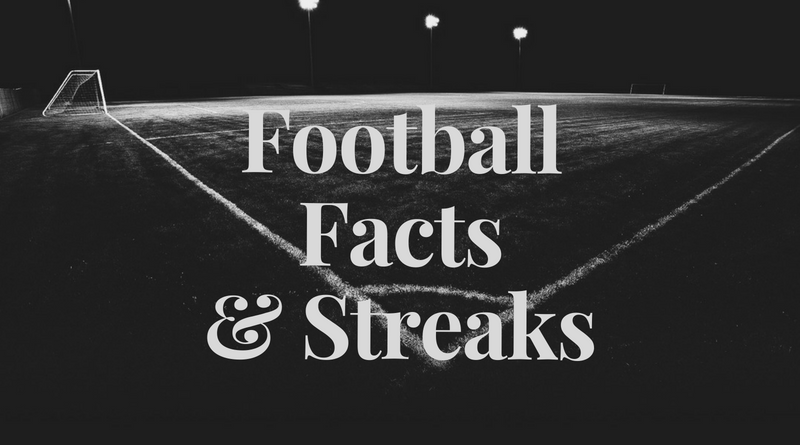 Helsingborgs IF has over 2.5 goals in their last 6 away games in Superettan. Orgryte has under 2.5 goals in their last 3 games in Superettan. Orgryte ended draw their last 3 games in Superettan. Helsingborgs IF scored in last 15 away games in Superettan.